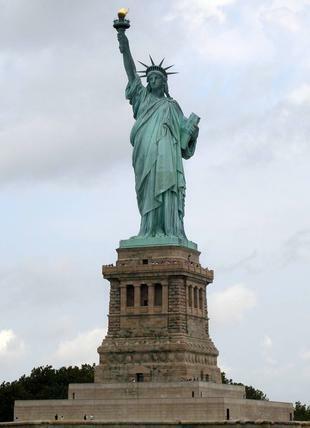 Researching Family History: Did immigrating ancestors see the Statue of Liberty? My friend Bill and I stood there gaping at the enormous Statue of Liberty. We were taking pictures just after coming down the spiraling staircase, which seemed to go endlessly up inside the statue.